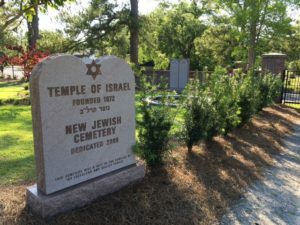 The Temple of Israel New Jewish Cemetery is the premier Jewish cemetery in the greater Wilmington area. 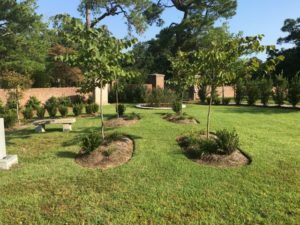 We have created a beautiful Memorial Garden and allow cremation burials. We have installed an irrigation system as well as upgraded our landscaping. Bushes have been planted on the border of the cemetery as well as trees planted. 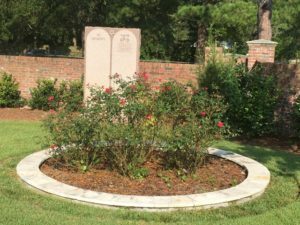 The Memorial Garden circle is topped with Jerusalem stone. 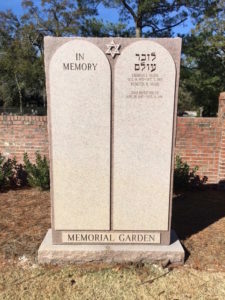 A granite “Ten Commandment” upright monument is in place for the inscription of those whose remains lie in the garden. 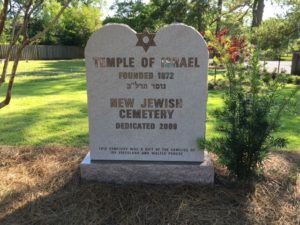 On December 6th, 2009 we dedicated the Temple of Israel cemetery as a sacred final resting place for members of the congregation. 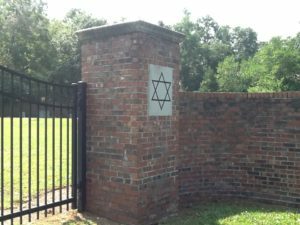 The Cemetery Committee has prepared a packet of information and our Co-Chairmen, Melanie Frank or Joel Frank, will be delighted to meet with you personally to review the information and to visit the site. They can be reached by calling the Temple office. The Temple Cemetery is located on Princess Place Drive between 17th & 18th Streets.